Into The Badlands is currently on a hiatus. The first half of the third season is over, and we are into the midseason break. The midseason finale of the show aired on June 17, 2018. The fans are anxiously waiting for the release for the second half of the season. The wait for the next half of Into The Badlands is almost over. According to AMC’s official website, we will get to see the ninth episode on March 24. The third season of Into The Badlands has a total of 16 episodes. It is the longest season of the show so far. Many expected the show to return a bit later in August or September. But, I don’t think that the fans will be complaining about the early return of the show. 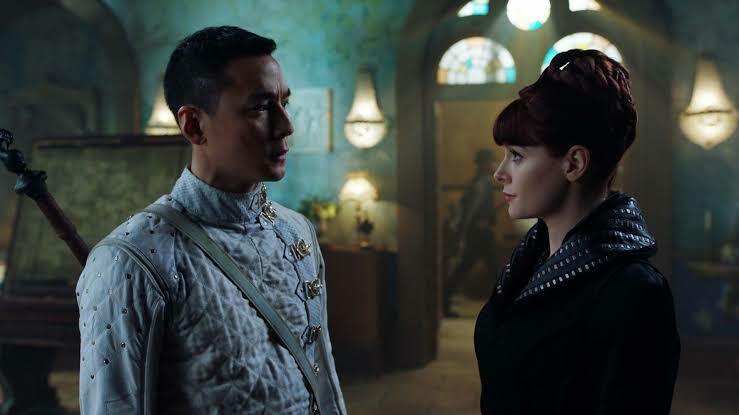 However, there is some bad news for the fans as it was confirmed that Into The Badlands will be ending with the third season. The second half of the third season will pick up from the events from the midseason finale. The finale left the fans with a huge cliffhanger, and it will be interesting to see how the story develops from here on out. In the eight episodes, we saw Sunny meeting the Pilgrim. Soon Sunny realized that the two of them are connected. It was also revealed that Sunny was indeed the final piece in the puzzle. The old prophecy could be fulfilled as Dunny was with Pilgrim and Cressida. Bajie tried to warn Sunny but, Sunny couldn’t go back. He followed Pilgrim into the Meridian Chamber. The show is rated 8.1 on IMDB, which is a pretty good rating. The show follows a powerful warrior and a young boy on their search for enlightenment. But, the job isn’t so easy as they are in a ruthless territory which is manipulated by feudal barons.